Merry Christmas, Happy Hanukkah, and Happy Kwanza! We gathered around the chestnuts roasting on an open fire, fired up the microphones, popped open some eggnog and produced an especially spectacular jolly holiday show. After some extra cheery banter we jump right into the snow -- uuuh...we meant to say "show" -- with some fascinating letters. The frost is scraped off the box and inside is a gift called Action Pack #10. Terrain Time covers a bundle of terrain rules including Brush, Woods, Orchards (including pear trees), Cactus Patches, and groovy Olive Groves. Now this is a great way to bring in the New Year. Cheers! 29:15 - What's in the Box? Hope you both have a great Christmas and a happy new year! Thanks for all the excellent podcasts in 2014. Looking forward to what you have in store for us in 2015. The 2 HS singers are Simple AWE inspiring!! I believe there are Angels now! and they sing for the 2HS. I'd buy a CD of songs if created! I also like Jeff's "what have you been playing lately" change up (Foreigner rendition). Seemed spontaneous and Dave was really carrying the tune well. Merry Christmas & a Happy, Healthy and Safe New Year! 2015 - the year of HP!!! 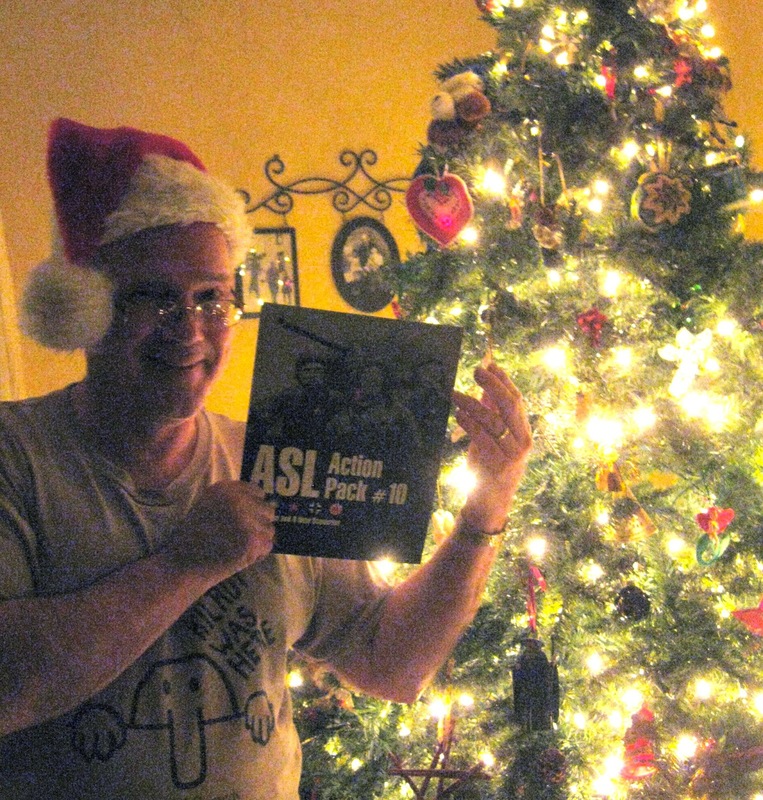 7 years of ASL on the "greatest podcast in the world"... the 2 half squads!!! 27 episodes!!! Roll low and rally well. 1) Human Wave Song - Totally awesome! 2) Terrain time - great segment, keep it us! 3) Kindling discussion, hilarious discussion. But seriously, wouldn't it be better if Kindling were a special rule only allowed by SSR like many other rules are treated, rather than the other way around (frequently having to make its use NA via an SSR)? 4) Trail Break - the song analogy again was awesome! 5) Woods/Trail Break - (shameless plug) Spilky Rules Table 10 has some helpful MP references on this topic. 6) "Basking" - Jeff, you're hilarious! 7) "Naval" reference - i think some tacticians have suggested that fighting a ground war across a vast desert i similar (tactically) as fighting a naval war across vast expanses of ocean. I’m not an expert at this at all, but I’ve read this somewhere before. 8) Should i order HP? If so, what's the best way to do so? Episode 129: Why Knott PBEM?